Your new summer oasis awaits! 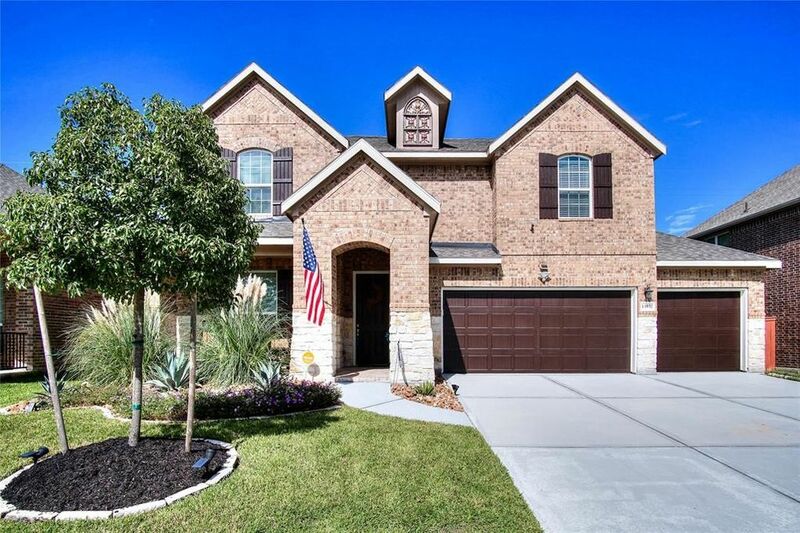 This amazing 5 bed 3.5 bath home complete with a private backyard retreat & located just a short walk away from Lake Houston is true must see! Upon entry you are greeted by both an executive study & an elegant formal dining room! After passing through the entryway you come to a beautiful family room featuring tile floors, a cozy corner fireplace, soaring 2-story ceilings & floor to ceiling windows that shower the space in natural light! Whip up your favorite recipes in the gourmet kitchen equipped with tile floors/backsplash, granite countertops, stainless steel appliances & an island with a sit down breakfast bar! In the evenings withdraw to the spacious master suite with a luxurious bathroom showcasing double sinks, a walk-in closet, tile floors, a garden soaking tub & a tiled walk-in shower! The 2nd floor houses a game room, media room & all 4 secondary bedrooms! The backyard has no back neighbors & features a covered patio, pool & spa! Don't miss out! Directions: From TX-8 Beltway S, left 2 lanes to turn left on W Lake Houston Pkwy, right on W Lake Houston Pkwy, Continue on Edge Lake Blvd, left on Lake Superior, Continue on N Lake Branch, left on Edge Branch, right on Northline Lake Dr, home is on the left.